A new perennial garden was recently planted by volunteers with the Horner Park Advisory Council. 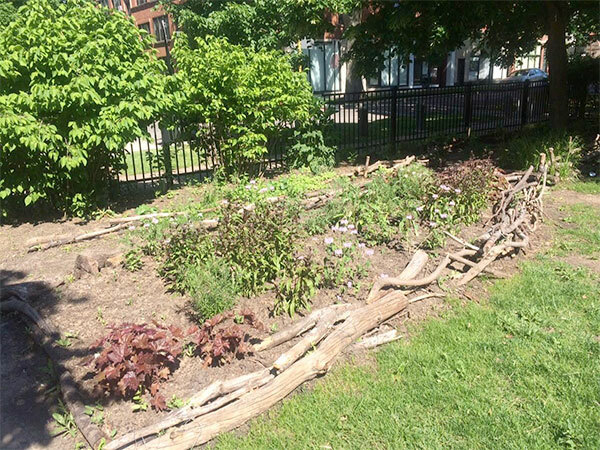 Thanks to a grant from the Chicago Parks Foundation and the Chicago Park District, the garden, first planted in 2001, was overhauled and re-imagined this winter, to remove a tangle of weeds and overgrowth, and install fresh prairie natives. The loss of the large conifer in February also prompted this move. 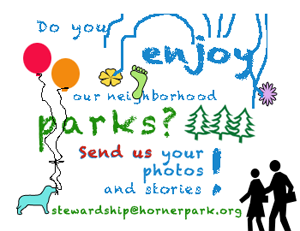 On two Saturdays this spring, gardeners, led by members of the Stewardship Committee of the Horner Park Advisory Council removed old growth and planted a new crop of show-stoppers. Thanks especially to Suzanne Davenport, Sara Zimmerman, Peter Schlossman, John O’Connell, and all the other volunteers who helped on this project.